Gareth Ash of Danfoss reviews the latest guidance documents relating to individual room temperature controls in the revised EPBD Directive and looks at solutions for a compliant and trouble-free installation. The revised Energy Performance of Buildings Directive (Directive (EU) 2018/844), which came into force on 9 July 2018, recognises the low cost, energy saving value of fitting individual room temperature controls. It states that, subject to being technically and economically feasible, the installation of self-regulating devices (for example TRVs) should be considered for the separate regulation of the temperature in each room or, where justified, in a designated heated zone of the building unit. For UK dwellings, Part L of the Building Regulations currently requires this level of control. However, to comply with the new EPBD, additional requirements are needed for boiler replacements. Getting to grips with yet another new piece of industry legislation can be daunting for even the most experienced heating installer. UK trade association BEAMA, of which Danfoss is a member, has issued a summary of guidance documents shared by the European Commission to help and support implementation of the revised EPBD into national legislation in EU member states. The guidance clarifies key areas including compliant devices and options for assessing technical and economic feasibility. The guidance makes it clear that any solution based on the manual regulation of heating output will not fulfil the requirements, even if the adjustment can be performed at room (or zone) level. Secondly, any solution that allows for the automatic regulation of temperature, but not at room (or zone) level, will not fulfil the requirements. It is important to note that this second part also clarifies that a single room thermostat in the building or a zone (the current UK requirement with a boiler replacement, even under Boiler Plus) will not deliver the new Directive. Some regulatory changes will, therefore, be required to adapt the current UK requirements for dwellings. If the UK government remains committed to implementing the new requirements then these will presumably form part of next year’s proposed review of Part L.
The vast majority of existing heating in UK dwellings is provided by hydronic heating systems fed by a boiler. 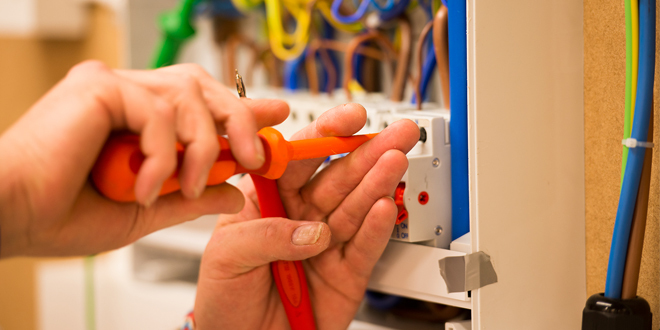 Part L of the Building Regulations requires that fixed building systems are fitted with ‘effective controls’, and routes to compliance are laid out in the Domestic Building Services Guide (DBSCG) Whilst the recommended minimum controls, for example independent time control, a room or programmable room thermostat and TRVs, already meet the EPBD requirement, they only apply to new systems. As far as replacing components in these systems, and standards when replacing a boiler are concerned, individual radiator controls like TRVs are currently only covered as ‘good practice’ and may not necessarily be installed as a matter of course. In order to comply with the new EPBD requirements, these devices will now need to be changed to a ‘minimum standard’. In the UK there are an estimated nine million homes with only manual radiator valves. 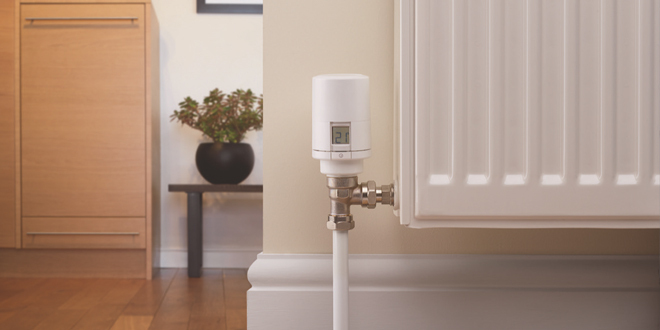 Ensuring that TRVs are added during a boiler replacement in accordance with EPBD not only represents a cost-effective way for end-users to save energy but is also an excellent business opportunity for installers. Whilst fitting TRVs is generally a quick and easy procedure, identifying flow and return can be a challenge when upgrading some existing systems. For example, the common problem of water hammer can occur if the valve is mounted with the water flowing through the TRV in the wrong direction, resulting in a potentially costly call-back from an unhappy customer. To overcome this, Danfoss has developed the innovative ‘Revolver’ solution, a reversible and bi-directional valve body with a built-in flow selector. The installer simply fits the valve in the factory set position with no need to identify flow. If water hammer occurs, the direction of water flow inside the valve can be reversed in a matter of seconds by turning the flow selector ring, with no need for expensive draining down of the system. In reference to individual room temperature controls, the guidance to the revised Directive acknowledges that such devices improve the management of energy consumption with limited costs and states that it is generally beneficial to make their use more widespread. Danfoss fully supports this regulatory recognition of low cost, short payback solutions like TRVs and we remain committed to developing solutions, like the Revolver valve body, to simplify compliance for installers and help them bring improved heating efficiency and comfort to their customers.